While Cheyenne Mountain is hardly the most visually captivating mountain outside of Colorado Springs – Pike’s Peak takes that Rocky Mountain cake – it is home to one of the most astounding man-made features in the area: Cheyenne Mountain Complex. Here’s the gist. Back in the 1960s, the world was worried about the Cold War and the rise of nuclear weapons. 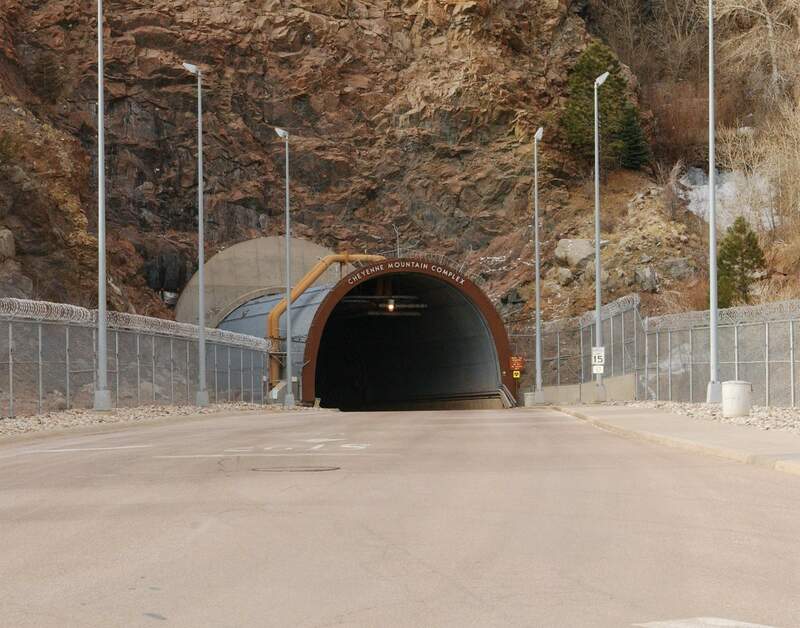 So, the military did what any good military does and built a giant, secure defense bunker deep inside of Cheyenne Mountain, which sits in unincorporated El Paso County, right outside of Colorado Springs. And what a bunker it is. 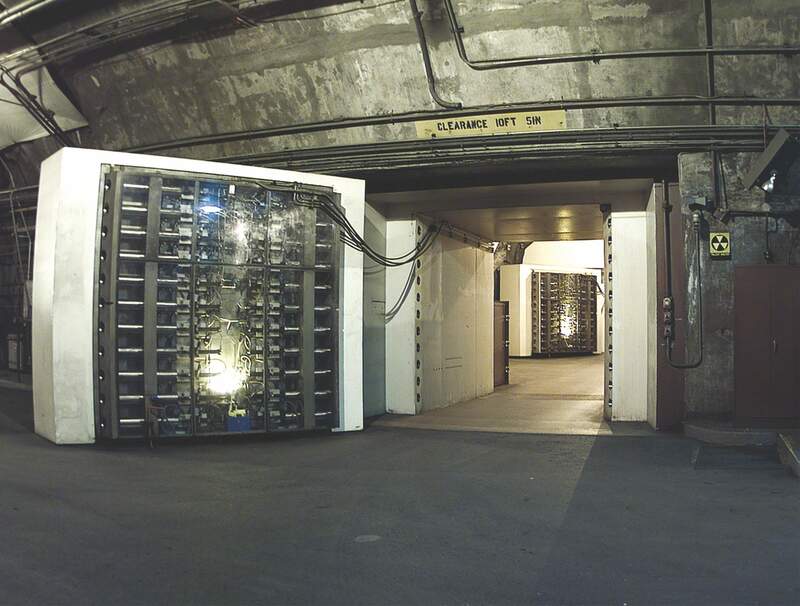 The nuclear resistant installation is buried behind 2,500 feet of granite, rendering it not only impenetrable to nuclear weapons, but pretty much any “worst case scenario” situation, be it electromagnetic bombs, catastrophically devastating sun behavior, or biological weapons. Why is this necessary, you ask? Well, it’s mostly so that scientists and military personnel can safely keep an eye on threats from every angle via a global surveillance system, that’s why. North Korea ain’t gonna monitor itself. Here’s what it’s like inside that human mole-hill. Deep inside the granite complex, there are 15 three-story buildings which are earthquake and explosion resistant, thanks to a system of over 1,000 giant springs that the buildings sit on top of. It keeps them from shifting more than one inch, which, you know, is hella impressive given these buildings are literally inside of a mountain. That’s part of what makes the facility resistant to massive blasts or earthquakes. Oh, and while this complex is meant as a military fortress, it’s not just high-tech military equipment that’s housed in the mountain. The facility is also a completely self-sustaining city, with a medical facility, store, cafeteria, and gym all housed inside that granite fortress. Bet they have a ton of freeze-dried food down there, too. Pretty cool, right? Kinda like a prepper’s ultimate goal. You even used to be able to tour the facility, but they stopped allowing that in 2014. But! And this is a big but: If it ever opens up to the public again, you should jump on the chance to tour this Cold War relic. It’s the OG prepper town, one that is both awe-inspiring and terrifying.